How to Register as a New Member? Logon to https://www.indiaengineering.com/multibid/index.aspx or http://www.indiaengineering.com & click on "For Multibidding click here" Link. Click on "Register" button available on bottom-right corner of Login frame. Fill in necessary your company details, select a Member User name, Member Password and register as a Buyer. Email will be sent to you on your mail account which you provided in registration details. Click on the link provided in your email to activate your account. How to Bid as a Member? 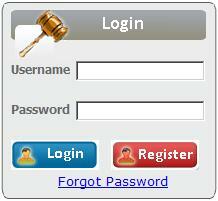 Collect your unique Auction login name and Auction password from Synise Technologies Ltd. after submitting the bidder deposit. Type in your User name, Password and then click on "Login" button. After Login, Bidder Agreement page will appear. Click on " I Agree" button. The page will redirected to bidders homepage. On Bidders homepage you will see "Multibidding" menu on the menubar. From Multibidding menu select "Bid for Auctions Multibid" option. On next screen you will see the Company Name for which you have been activated. Buyers must select the Company Name for which he wants to Bid. After selection of Company Name you will see the Lots for which you have been activated. Click on Auction ID Link, to Bid for the selected Lot. Two options to submit your Bid.